Lawyers for Allison Fumo filed a memorandum in Orphans' Court Monday, charging that a $2.5 million trust set up by her father, former state Senator Vincent J. Fumo, has been "mismanaged by cronies and acolytes." Because of that alleged mismanagement, Allison Fumo's lawyers are asking Judge Joseph D. O'Keefe to take $611,158 of that trust fund and deposit it in a separate bank account so that Vince Fumo's 23-year-old daughter can manage her own trust. In a 39-page memorandum, lawyers Don P. Foster and William S. Heyman also request that the judge nullify the appointment of Dr. Anthony Repici, Vince Fumo's personal physician, as trustee of the trust fund for Allison Fumo. Allison Fumo "believes, for good reason, that her father's actions have been hostile to the trust and to her," the memorandum states. "Allison Fumo does not believe that Dr. Repici should serve as Trustee of her trust. In her view, he would not be independent, and would choose her father's wishes over hers." In response, Thomas A. Leonard and Zachary S. Davis, lawyers for Vince Fumo, argue in a 17-page brief that Judge O'Keefe should set aside a "sideshow of irrelevant evidence" and a smear campaign orchestrated by Allison Fumo's lawyers, to confirm Vince Fumo's choice of Dr. Repici as overseer of the trust fund. "Setting aside the sideshow of irrelevant evidence," the post-hearing brief filed by Vince Fumo's lawyers states, "three facts remain undisputed: (1) Dr. Anthony Repici was properly appointed ... (2) Dr. Anthony Repici is eminently qualified to serve as Trustee and (3) no other grounds exist for removing Dr. Repici as Trustee." In 2006, then Senator Fumo created two irrevocable trusts under the auspices of the Fumo Family Limited Partnership [FFLP]. One trust was to benefit Fumo's son, Vincent E. Fumo II; the other was to benefit Allison Fumo. When Vincent E. Fumo II turned 40, his trust was dissolved and during 2009 and 2010, the son received payments totaling $533,000. The original agreement called for Rosanne Pauciello, a longtime friend, ally and employee of Vince Fumo's, to serve as trustee of the fund to benefit Allison Fumo. On Sept. 8, 2011, Pauciello sent an email to the president of the FFLP, saying she was tending her resignation. The president at the time, however, asked her to stay on until the taxes were done. But according to Allison Fumo's lawyers, Pauciello did "nothing" as a trustee, either before or after Sept. 8, 2011, including contacting Allison Fumo even once. On Oct. 23, 2012, Pauciello formally "resigned and delivered to Samuel Bennett her formal resignation and designation of Mr. Bennett as her successor," according to the brief filed by Vince Fumo's lawyers. That's when the trouble started. Bennett is the brother-in-law of Vince Fumo's fiancee, Carolyn Zinni. He's also a maintenance worker with the Pennsylvania Turnpike Commission who doesn't have a college degree. Three days later, on Oct. 26, 2012, Allison Fumo sued in the Orphans' Court Division of Philadelphia Common Pleas Court to have the court appoint a new trustee. That action was followed by "multiple amended pleadings, ultimately seeking to have Mr. Bennett removed due to his educational background and relationship to Mr. Fumo's fiancee," according to the lawyers representing Vince Fumo. The brief on behalf of Allison Fumo states, "Mr. Bennett is a personal friend and associate of [Vince Fumo], who was responsible for securing Mr. Bennett's job as a maintenance worker with the Pennsylvania Turnpike Commission. His wife is the sister of [Vince Fumo's] fiancee, Carolyn Zinni." Allison Fumo's lawyers argued that Samuel Bennett was incompetent. "From the date of his appointment to the date of his testimony, Mr. Bennett has not communicated with Allison," her lawyers state, "although he (Bennett) did take the time to drive to Ashland, Kentucky, with his sister-in-law, Mr. Fumo's fiancee, to meet with Mr. Fumo." The former state senator is serving a 61-month sentence after he was convicted in 2009 on 137 counts of fraud, conspiracy, obstruction of justice, and filing a false tax return. He is scheduled to be released next Tuesday. "He (Bennett) knows nothing about Allison," her lawyers state. "He never read the Trust Agreement before he was served with the Petition that began this case ... and had no understanding of how the Trust was to function." In their memorandum, Allison Fumo's lawyers slam the "appointment of someone who was as overtly unqualified to serve as Trustee as Mr. Bennett, whose sole qualification ... appears to have been his loyalty to [Vince Fumo]. Allison Fumo's lawyers argue that the appointment of such an incompetent trustee "is probative of [Vince Fumo's] desire to control the operations of the Trust and the assets of the Trust ... regardless of the interests of the Trust beneficiary ..."
After Allison Fumo's lawyers objected to Samuel Bennett serving as a trustee, Bennett resigned on June 22, 2013, and named Dr. Repici as his successor. Bennett resigned, according to Vince Fumo's lawyers, because he recognized that "prolonged litigation was not beneficial to the trust." Bennett then nominated Dr. Repici as his successor. Dr. Repici has been a doctor for 41 years, and a lawyer for 28 years. In addition, he has taken finance classes at Temple University. He has also been Vince Fumo's friend for 50 years, and his personal physician for 25. Vince Fumo's lawyers charge that rather than deal with Dr. Repici's impeccable credentials, Allison Fumo's lawyers resorted to a smear campaign against her father. "Instead, [Allison Fumo] proceeded at the Court's hearing on July 9, 2013 with the introduction of irrelevant evidence intended to smear and tarnish the reputation of her father -- who was not present to defend himself -- apparently forgetful of the generosity he exhibited in making his multimillion dollar gift," Vince Fumo's lawyers wrote. "Significantly, none of the evidence introduced by [Allison Fumo] even addressed the issue of Dr. Repici's qualifications or fitness, let alone suggested that Dr. Repici was not qualified or otherwise not fit to serve as Trustee of the Allison Fumo Trust." During the case, Vince Fumo's lawyers had asked the judge for a delay, so that Vince Fumo could testify, but the judge ruled against them. That's when Allison Fumo's lawyers stood up and protested. They said that Vince Fumo's lawyers had every opportunity to ask the court for permission to take Vince Fumo's deposition, as he was an unavailable witness, but they chose not to do so. So why were they complaining about it now? Q. I want you to accept that if you are appointed the Trustee, you are going to be asked by the Beneficiary to take steps that are necessary to undo something that may be extremely important to your friend of 50 years. A. You're confusing an issue. My friendship with Vincent Fumo has nothing to do with my obligations to [Allision Fumo] as the Beneficiary. I understand what fiduciary means. And, yes, this would not be good and I would not allow it or try to make it better for Allison. Under Pennsylvania law, Vince Fumo's lawyers write, a court can only remove a trustee if he or she has committed a "serious breach of trust," or shown a "lack of cooperation ... that substantially impairs the administration of the trust." Or if there has been "a substantial change of circumstances" in the trust, such as a corporate reorganization, merger or consolidation. None of these circumstances exist in the Fumo case, lawyers Leonard and Davis argue. Allison Fumo only seeks to disqualify Dr. Repici because of a suggestion that his friendship with Vince Fumo would compromise his fiduciary duties to Allie Fumo. "Were Dr. Repici's friendship with Mr. Fumo by itself sufficient to disqualify him from serving as Trustee," Vince Fumo's lawyers argue, "then most every non-corporate trustee would be disqualified from service due to his or her relationship with the settlor," or the person who set up the trust. Instead, Vince Fumo's lawyers argue, under Pennsylvania law, "the pole star in every trust ... is the settlor's ... intent and that intent must prevail." Vince Fumo's lawyers say there is no evidence that their client, or any of his cronies, have shown any hostility toward Allison Fumo. Allison Fumo "has sought in this litigation to color her father's actions as hostile, such has been done through one-sided testimony to which Mr. Fumo has not been permitted to respond or provide context," Leonard and Davis write in their brief. "If Mr. Fumo had been permitted to testify, he would have offered a much different version of events, which would reflect the generosity of a father who not only made this multi-million gift to his children, but also wrote a six-figure check on the eve of his incarceration as pre-payment for the remaining years of [Allison Fumo's] Ivy League education," Vince Fumo's lawyers write. "Given Mr. Fumo's history of generosity, [Allison Fumo's] suggestion that her father bears hostility toward her is laughable." The appointment of Dr. Repici as trustee is opposed by Allison Fumo, and her mother, Jane Scaccetti. "Jane Saccetti does not believe that Dr. Repici is a suitable trustee for her daughter's trust," Allison Fumo's lawyers state. "According to her, Mr. Fumo chooses people that he thinks he can influence and/or control." "Allison Fumo does not trust Samuel Bennett's or her father's judgement in the selection of a Trustee," Foster and Heyman state in their belief. Allison Fumo "does not believe that her father's interests are consistent with what is in the best interests of the FFLP or the Trust." Allison Fumo "believes, for good reason, that her father's actions have been hostile to the trust and to her," Foster and Heyman write. "Allison Fumo does not believe that Dr. Repici should serve as Trustee of her Trust. In her view, he would not be independent, and would choose her father's wishes over hers." Allison Fumo's lawyers argue that under Pennsylvania law, the court can appoint an independent trustee if it is aware that good relations will not exist between a trustee and a beneficiary, or if the person appointing a trustee is hostile to the beneficiary. The court can also appoint an independent trustee if the beneficiary for legitimate reasons does not trust the trustee to act in her best interests. While Vincent E. Fumo II has collected $533,000 to date from the trust fund, "no distribution has ever been made to Allison's trust," her lawyers wrote. In October 2007, the trust fund had assets of $3.2 million. On Jan. 22, 2010, Vince Fumo borrowed $1.4 million from the trust. The loan was originally to be repaid by Jan. 31, 2013, at an interest rate of 5 percent. The loan was originally secured by a mortgage lien on Vince Fumo's 30-room mansion on Green Street in the Art Museum section of the city. In October 2010, the date the loan was to be repaid was extended by two years, to Jan. 1, 2015, and the interest rate was lowered to 4.5 percent, Allison Fumo's lawyers write. In November 2012, that loan repayment date was extended by Fumo's cronies to Jan. 1, 2020, at 2.38 percent interest, Foster and Heyman write. From Jan. 22, 2020, until 2040, the loan would be repaid at prevailing interest rates not to exceed 4.5 percent interest. So that $1.4 million loan that originally was supposed to be repaid in 2013 will not come due until 2040, Foster and Heyman write, "when Allison Fumo will be 50 years of age and presumably long after the demise of [Vince Fumo] who is 70 years old and in ill health." The changes in the terms of the $1.4 million loan were implemented by Fumo's cronies, "contrary to the express wishes of Vincent and Allison, and contrary to their instructions to the general partner that the loan be declared in default," Foster and Heyman write. Emails between Fumo's cronies and lawyers showed the changes had to done ASAP, Allison Fumo's lawyers write. The emails show Vince Fumo's cronies and lawyers "were rushing to finalize the loan modification before a Court could hear the Emergency Petition" of Allison Fumo, and before a "truly independent trustee" could be appointed, according to Allison Fumo's lawyers. "This is further evidence of the willingness of [Vince Fumo] and his henchmen to ignore their fiduciary obligations to the limited partners and the Trust beneficiary, as well as the prerogatives of the Court, whenever those obligations and prerogatives interfered with the wishes of Mr. Fumo," Foster and Heyman write. Allison Fumo's lawyers cite an April 13 2013 meeting between Vince Fumo and his son in prison. "During that coversation [Vince Fumo] told Vincent that he intended to win at all costs, that he controlled what went on with the FFLP, and that before a Trustee that he did not control was appointed, he would see to it that legal fees depleted all assets of the FFLP," rendering it "worthless," the lawyers write. 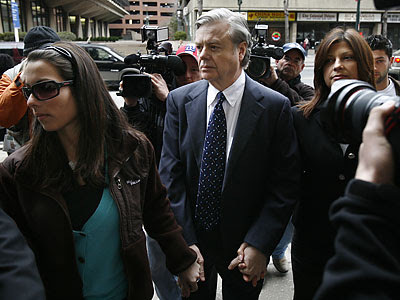 During the prison visit, Vince Fumo said it was "Vincent's and Allison's 'moral obligation' to give him everything in the Trust because he was broke," Foster and Heyman wrote. "He needed the money and they should give it to him." Allison's Fumo's lawyers assert that Vince Fumo suggested to Jane Saccetti that he would replace Roseanne Pauciello as a trustee with Carolyn Zinni. "He wished to install someone as Trustee over whom he had complete control," Allison Fumo's lawyers state. Allison Fumo is 23 years old, and a 2012 graduate of the Wharton School of Business, where she earned a Bachelor of Science degree in economics," her lawyers write. "She is responsible for managing her own affairs." If the judge grants Allison Fumo's request to set up her own trust fund, she would seek the assistance of "her mother, Jane Scaccetti, and her godmother, Sylvia DiBona, as to how best manage the assets for long-term growth," her lawyers write. "She has no plans to spend the money." Sylvia DiBona is an accountant who owns her own insurance firm. She also runs Fred's Footsteps, a charity founded in her late husband's name.